With an unparalleled range of accommodations, stunning setting along the James River, and a boundless range of recreational acitvities and leisure pursuits right on the grounds, Kingsmill is a relaxing, fun, and memorable riverside escape. 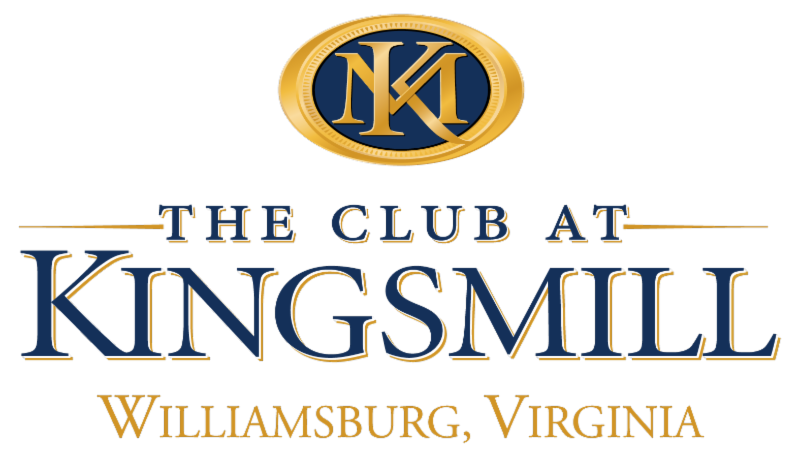 Kingsmill dates back to the early 1600's, where the first Englishman dropped anchor in the James River. Although they settled upstream in Jamestown, the Virginia Company of England granted 300 acres to Richard Kingsmill, a member of the organization. Col. Lewis Burwell III, a member of the Governor's Council, inherited the land from his grandfather and named it Kingsmill after the original owner. Burwell's Landing was an integral part of the American Revolution and can be seen from the 17th hole on the River Course. With three renowned 18-home golf courses, a celebrated golf academy, and year-round golf schools, Kingsmill Resort offers the exciting variety and challenge you want to take your game to the next level. For additional details, please visit www.kingsmill.com. For more than three decades, The River Course has hosted the world's best players on both PGA and LPGA tours. Bordered by the calm azure waters of the James River, this famed championship course has tested the mettle of the game's most famous names. On a still morning, dew still beading on the precisely manicured greens, you can almost hear the echos of applause for crisply struck irons and delicately holed putts. The River Course inspires you to test your own mettle. The course has been reborn thanks to the efforts of original architect Pete Dye. The renowned course designer tinkered just enough with his layout, bringing out the subtle details that make for a truly unforgettable round of golf. Dye's River Course hosted the PGA Tour's Michelob Championship from 1981 through 2002. Currently, it serves as the host of the Kingsmill Championship on the LPGA (since 2003). Golf course architect Tom Clark designed the members-only Woods Course in concert with two-wime U.S. Open champion Curtis Strange. The Woods Course is a classic parkland-style design that occupies a secluded corner of the resort, winding its way through the trees. Ranked #10 of Virginia's Top Ten Golf Courses by Golfweek Magazine, the Woods Course is an instant hit with all golfers. At 6700 yards, it is an interesting mix of long and short holes, giving golfers an opportunity to utilize every club in their bag. A unique feature is the double green with a bunker in the center shared by the par-3 12th and the par-4 15th hole. The Plantation Course is an Arnold Palmer and Ed Seay design that challenges players of all skill levels. Fairway landing areas are generous, but water comes into play on eight holes, and there is no shortage of deep woods or yawning ravines. With landmarks from Richard Kingsmill's 1736 plnatation woven into the landscape, a round on the Plantation Course is truly historic. When planning your escape to Kingsmill Resort, experience the history, beauty and excitement the Williamsburg area has to offer. 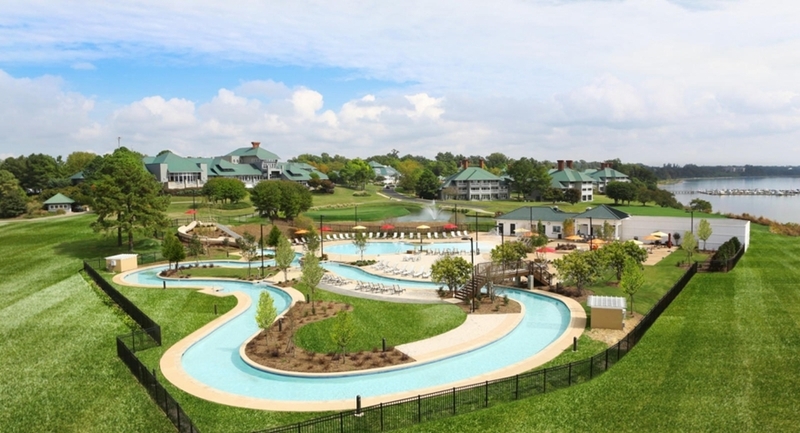 The only AAA Four Diamond Resort in historic Williamsburg, Kingsmill Resort offers luxurious riverside accommodations. From (anything but) standard guestrooms to 1, 2, and 3-bedroom condos, you can find the perfect place to rest your head after a busy day. And whether traveling for business, a weekend getaway with the family, or a romantic getaway for two, resort amenities like fantastic golf, a relaxing spa, and sumptious dining options will enhance your visit. When you stay at Kingsmill, it's more than just a hotel room - it's an experience. Step back in time and relive the days of Colonial Virginia, feel the rush of adrenaline on thrilling roller coasters and explore a variety of shops and boutiques. Enjoy diverse entertainment from exciting amusement parks to living American history that lays out before your very eyes. Busch Gardens Amusement Park, Water Country USA water park, Williamsburg historical attractions, Jamestown Settlement and Yorktown Victory Center, New Town, High Street, Go Ape Treetop Adventure Course, The Williamsburg Tasting Trail, Yorktown Sailing Charters, Merchant's Square Summer Breeze Concert series, and nearby Virgina Beach offer a wide array of recreation for anyone visiting Kingsmill Resort.